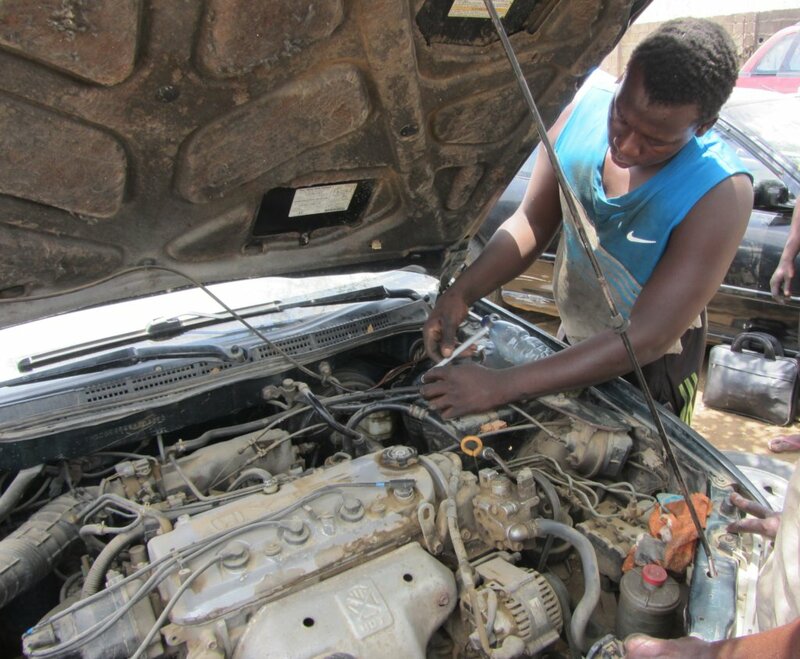 As members of the International Business Internship Program, Izzy, Joe, Jaren, Annie, & John work weekly to address issues that our business partner Mr. Umar, who owns an automotive repair business, encounters in his everyday practices. We are working towards finding business solutions which will bring about benefits for both our business partner and his entire community. In order to further his business, Mr. Umar needs funds to properly advertise and expand his customer base. 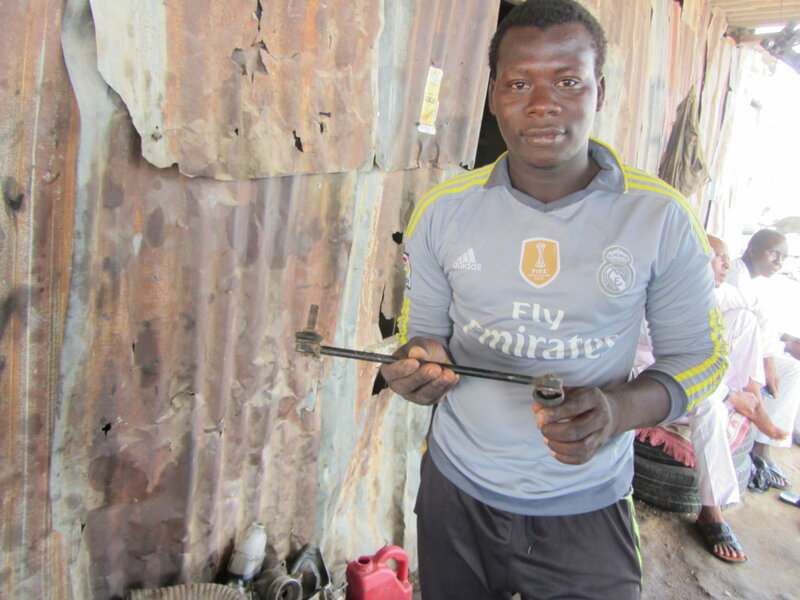 Ever since he was young, Mr. Umar has always had a passion for automobile repairs. 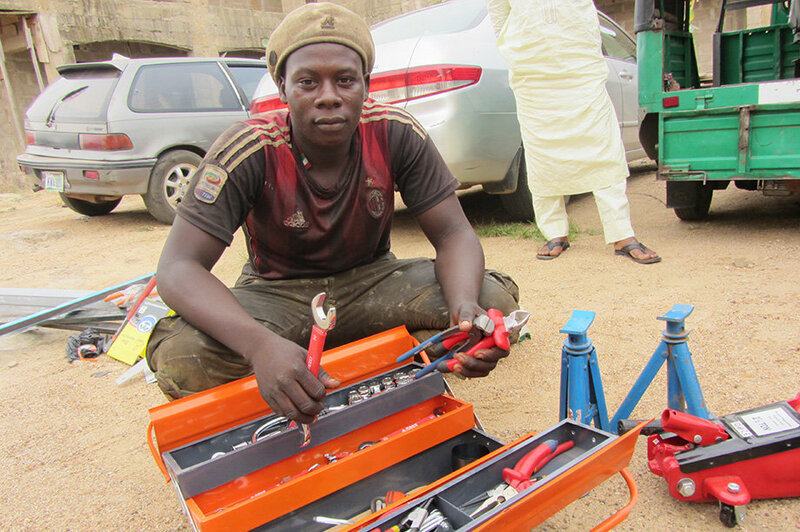 When he told his dad about this, his father took him to a car mechanic to be trained as an apprentice. 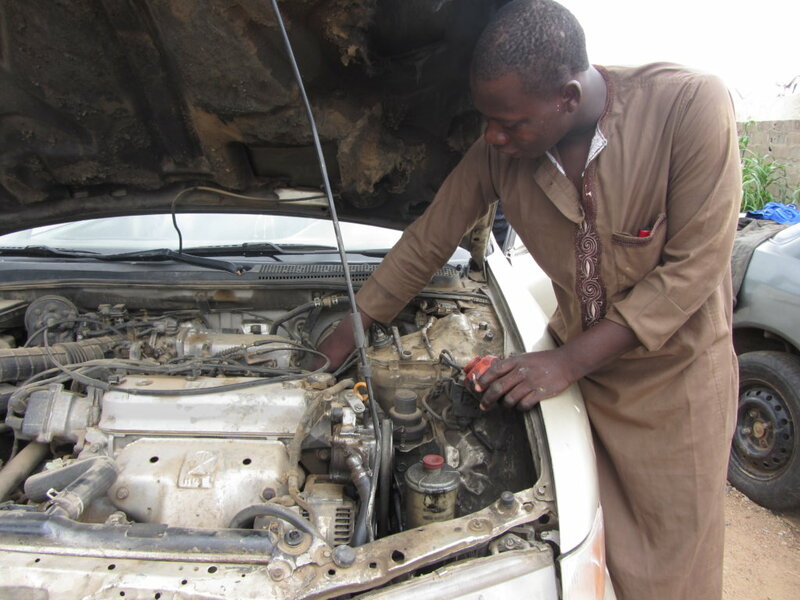 After school every day and on weekends, Mr. Umar would go to the mechanic shop to work and be trained. He did this for eleven years and finally was able to open his own shop in 2012. If Mr. Umar receives the funds needed to advertise, he will then be able to expand his customer base. Our hope with this fundraiser is that we will be able to create a logo for his business and design bumper stickers for him to place on cars after he fixes them. This advertising tactic will help expand his business and bring in more customers. 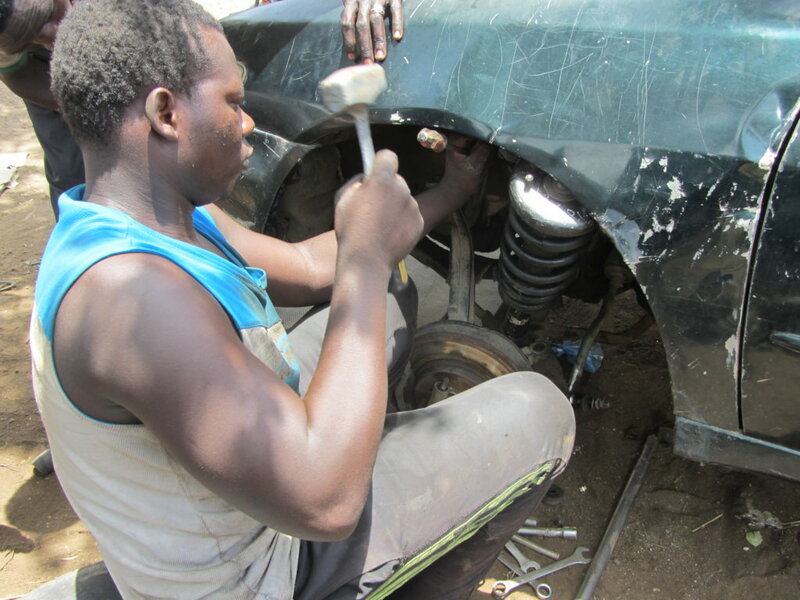 With the hopeful expansion of his business due to these advertising techniques, he will be able to pay for more materials, employ more workers in his community, and help assist teachers for our orphan care program with free automobile assistance.